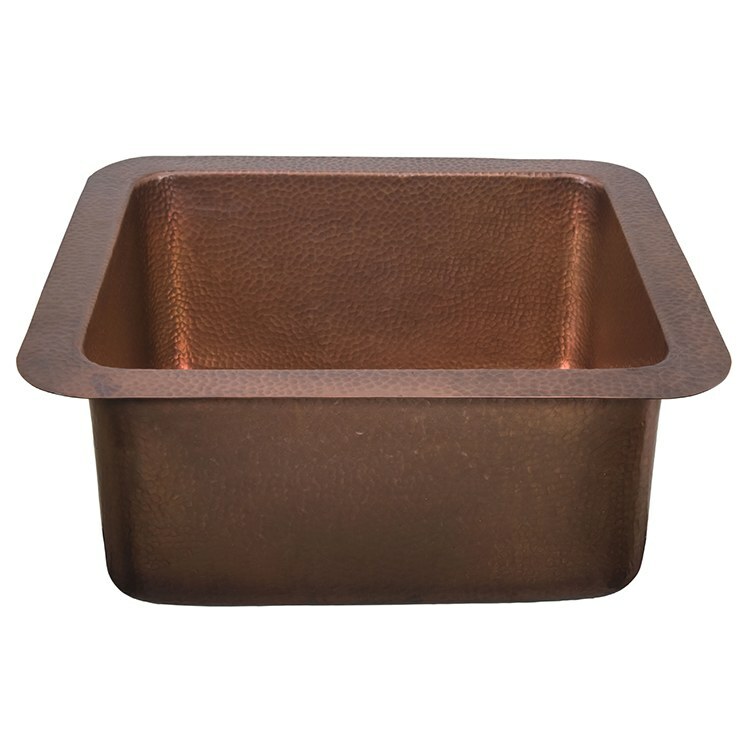 The Vernazza hand-hammered copper small kitchen/large prep sink is the perfect addition to any kitchen. An Antique Copper finish highlights its square profile. 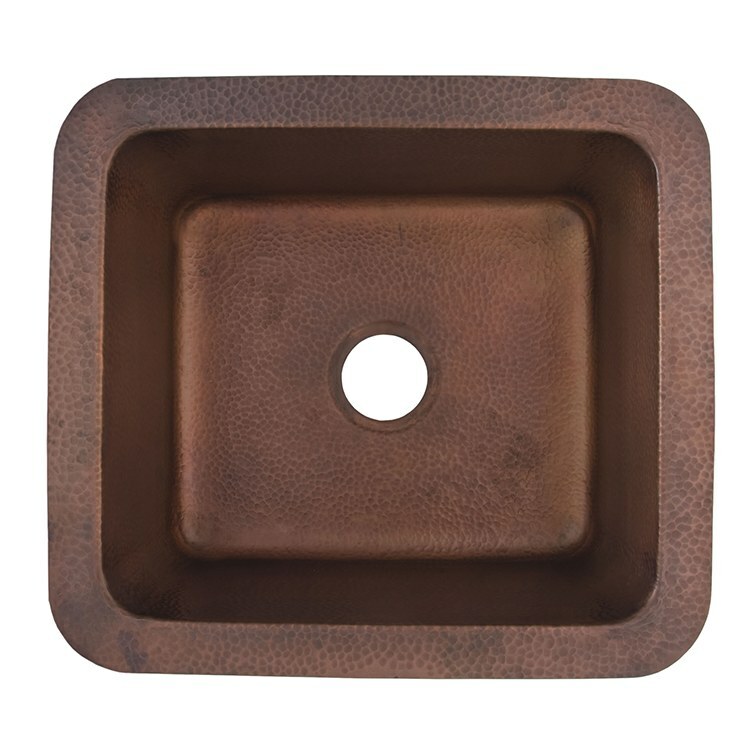 Made of 14-gauge copper, the sink is easy to clean and maintain, and will develop a natural patina over time. Coordinating drain is available and sold separately. 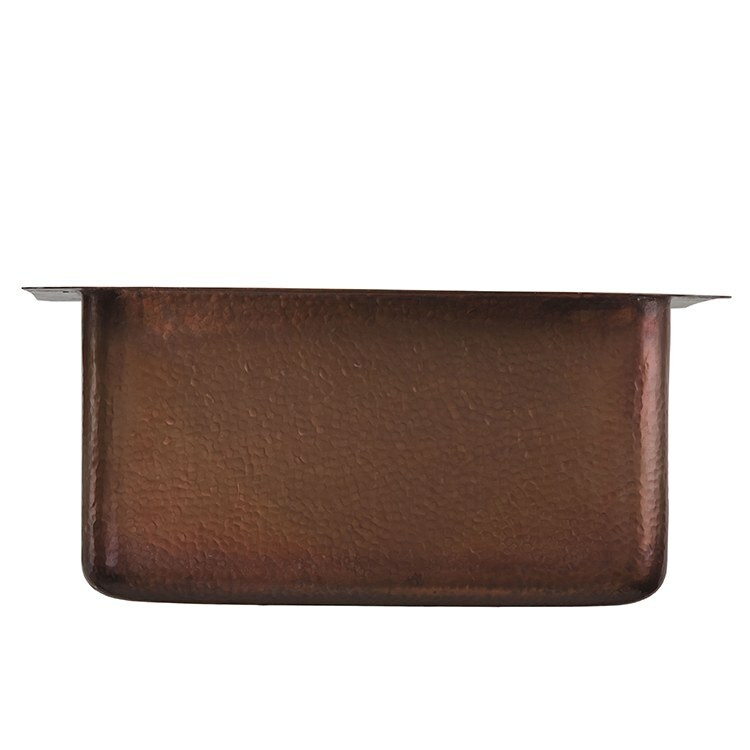 Note: Due to the handcrafted nature of this product, dimensions and finish may vary slightly.